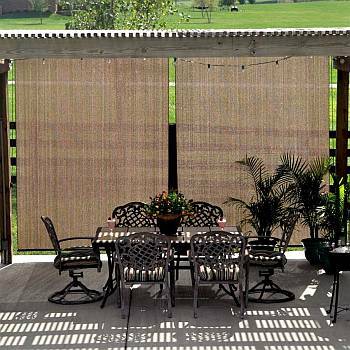 Solar Shade Screens provide excellent UV protection from the Sun or Privacy for your deck or Patio. Want a cooler patio or sunroom? 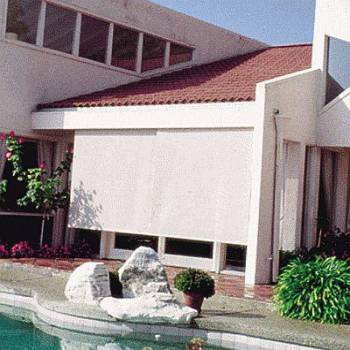 Dramatically reduce air conditioning bills, glare and solar heat gain with one of our Outdoor Solar Sun Shades. 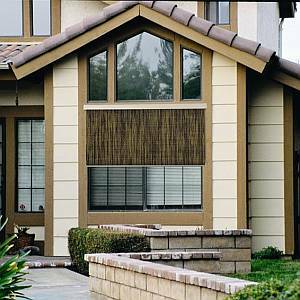 There is something for everyone in our wide selection of stylish Exterior Window Solar Sun Shades. Every model offers a variety of distinct features, details and style that will enhance your outdoor spaces. 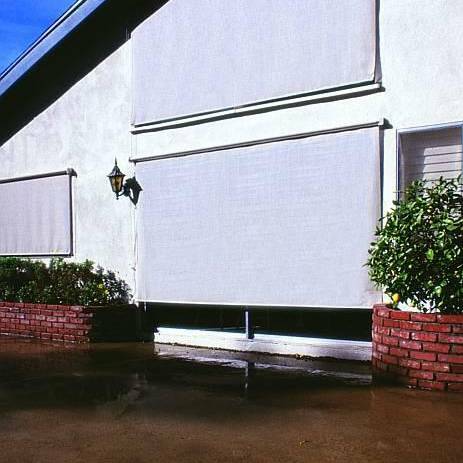 Exterior Sun Shades are the first line of protection against harmful UV rays, heat, and glare of the Sun. Installing them outside your windows will reduce the damage from UV rays and will effectively keep you cooler and more comfortable. 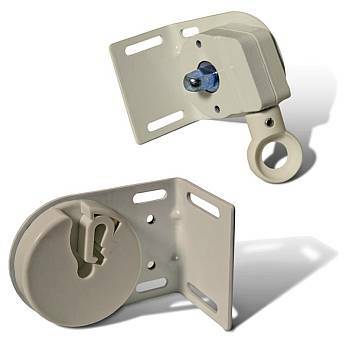 They are perfect for any outdoor area such as patios, porches, decks, gazebos, as well as windows. Get yours today and start enjoying your outdoor spaces more! Solar window shades are the ideal and inexpensive product for reducing temperatures within your home. Fabrics are made from a knitted PVC or vinly coated polyethelene screens that are all weather fabrics. 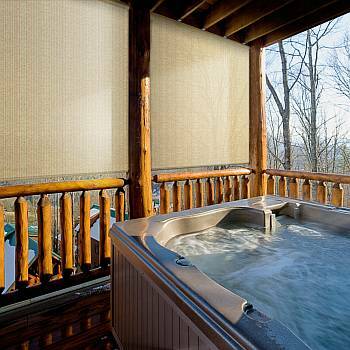 These exterior window shades block up to 80% to 95% of the UV rays, yet they still allow air to flow through. Breathable fabrics not only significantly reduces temperatures behind the window shade, but still allows just the right amount of light transmission to ensure you can always see what is happening on the outside. 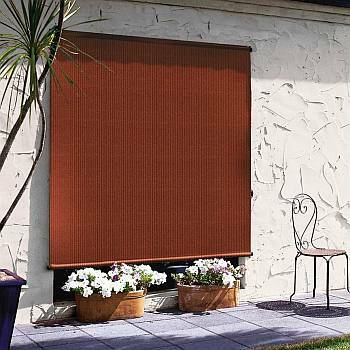 You can use these shades as a perfect solution when you want privacy, shade, and wind reduction. Enjoy more quality time outdoors. We have been making outstanding custom sized Solar Sun Shades since 2002 to fit your exact dimensions and need, and are they available with a wide range of hardware, operation, fabrics, and colors. 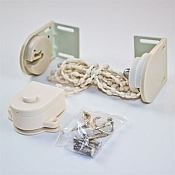 Hardware options for raising or lowering the shade by crank, looped chain and even motorized via a remote control. 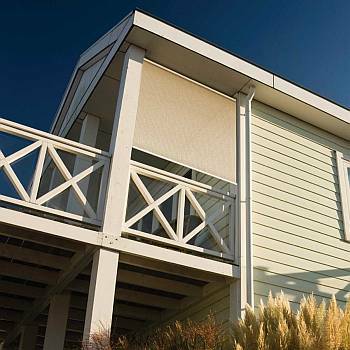 Did you know that exterior window shades have proven to reduce cooling costs up to 40%? It is True! Read how Solar Shades can reduce home energy costs in this informative article. 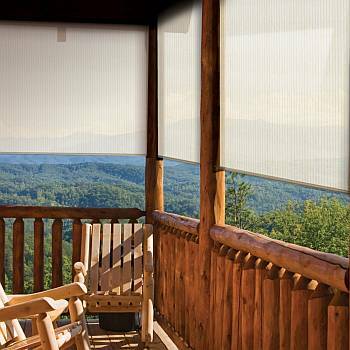 Learn more about Solar Window Shades and other Outdoor Shade Solutions. While Supplies Last - 10ft wide Only.